The only child of a single mum, and her life is less privileged than her friends. Review: Oh my goodness I loved this book so much. 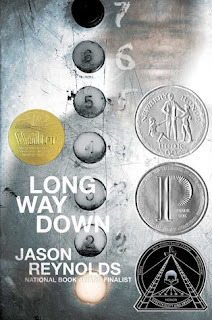 Firstly, I love the fact that this book carries on from where Simon Vs The Homo Sapiens Agenda left off so we know the characters, we know the setting and we want to find out how the Creekwood High gang are getting on. 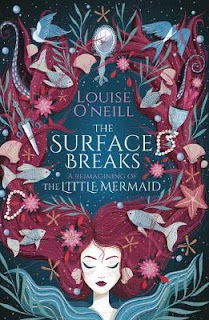 And secondly I love the fact that this book focuses on my favourite character from that book, Leah! Can I just say as an aside, she was also my favourite character when I saw the film so that really didn't disappoint either! 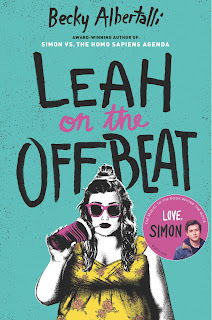 We know going into this book that Leah identifies as bisexual but hasn't come out to anyone yet. 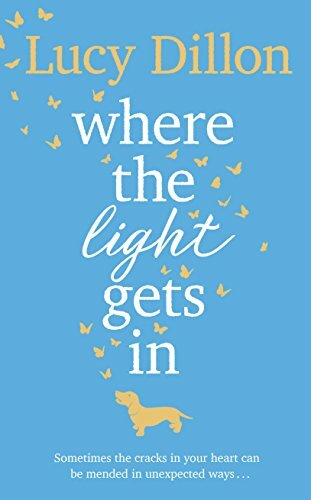 I think that this was a great move by this author, you don't read about many lead female characters who are afraid to come out as bisexual or who are sure they are bisexual. 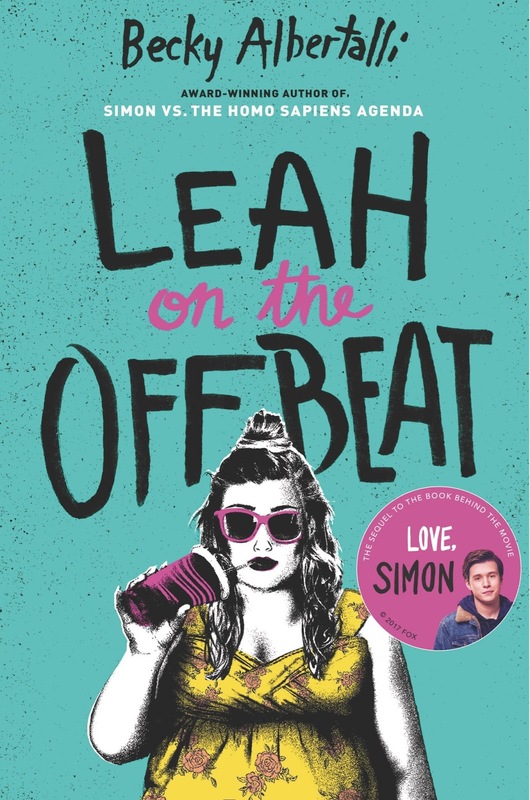 It was great to read about the crushes that Leah has and has had because they really do include a broad spectrum of people and I like the fact that a follow on from a love story involving two guys should be followed up with a sometimes wildly romantic story about a girl who likes both guys and girls! There are other aspects to Leah's character that make her just so easy to fall in love with though. She is incredibly neurotic whilst consistently putting a laid back front out there. She worries about the kinds of things that I worried about when I was a teenager so she is definitely easy to identify with as well. 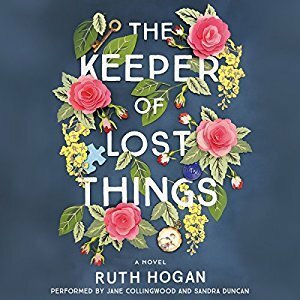 The other thing I really loved about her was that she doesn't have it all figured out either, and she doesn't pretend to have it all figured out. Far too many books feature teens who are certain about their future when being a teenager isn't the time to be fully committed on these decisions and I really liked that! 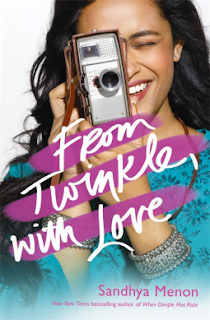 This book also features some awesome Harry Potter references and discussions, an epic road trip, an unfortunate party and some amazing prom outfits-what's not to love? 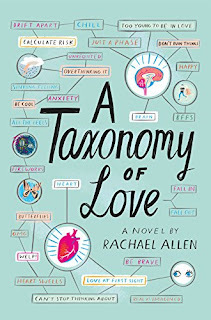 Seriously I hugged this book when I finished because it really did give me all the feels and I love the messages that Becky Albertalli puts out into the universe. I'd really like to see this follow up on the big screen as well, let's hope it happens! 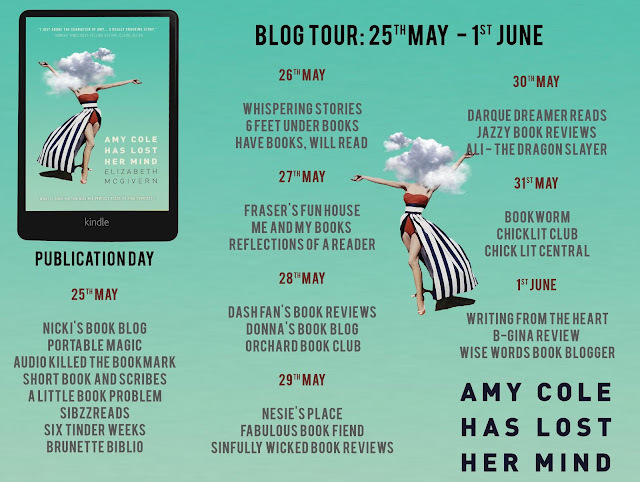 Today I am very excited to be part of the Blog Tour for Amy Cole Has Lost Her Mind which came out in the UK on 25th May. I'm going to share my review with you today but make sure you check out the other stops on the tour for more exclusive content! Buy links and social media links are listed below! 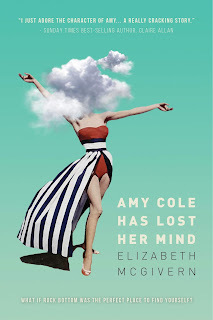 Review: This book was so different from what I was expecting, I was just bowled over by how invested in Amy Cole I became and how much I was involved in her life and her happiness. Amy is a great character because we know right from the start that she has flaws and we can both empathise and sympathise with her. She is a mum and like most mums, she feels like she is doing it wrong and being judged at every turn. Thankfully she has people in her life who love her. 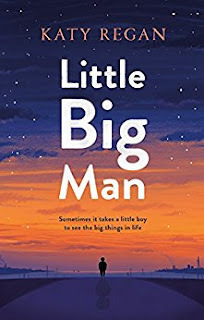 Husband Ben is a great character to read about as well because he to has flaws and he's just trying to do the right thing where his wife and family are concerned. 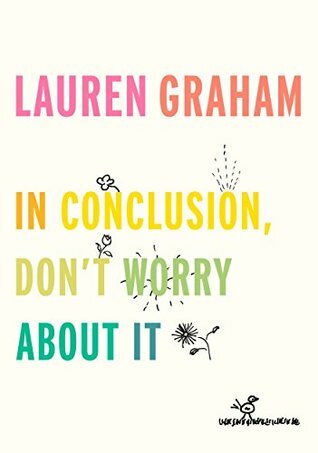 This book also explore the issues of female friendship and what a tricky place it can be, even once you're in your thirties! 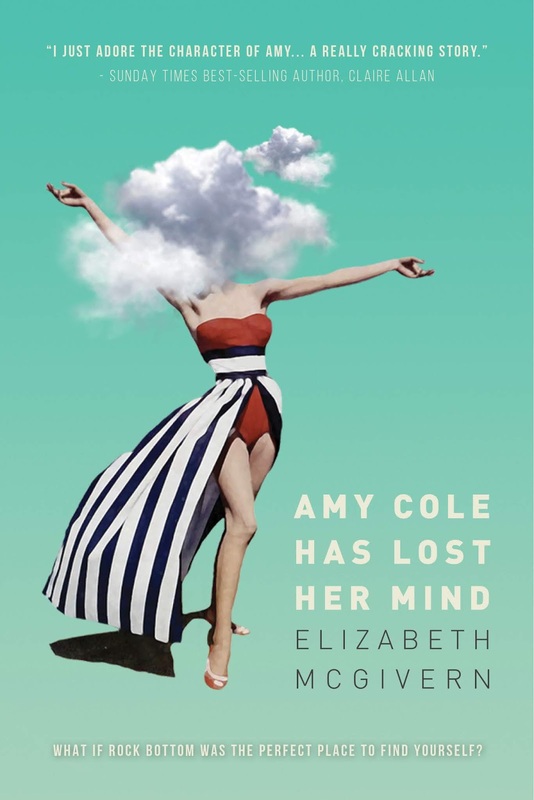 I loved reading about Amy trying to build friendship and when Elle comes into her life, so much hilarity ensues. 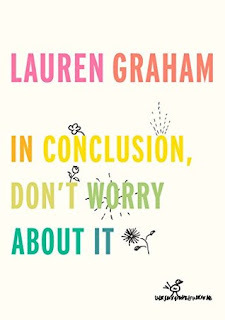 I mean I was laughing out loud at this book almost every page, and I'm not one who laughs out loud easily, I can't remember the last time I found a book as funny as this. Ut was quite embarrassing when I was reading this in my library I can tell you! 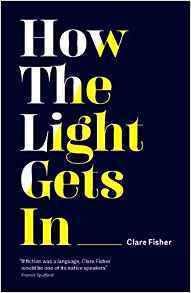 This book also explores issues surrounding mental health and does so in an open and honest way. We can see that the author really knows her topic when she speaks about the subject of depression and having 'episodes' as Amy calls it in the book. It also deals with the subject of suicide so there are a couple of trigger warnings there right from the first page. As I said though, despite this book being about someone who is living with depression, it is funny and relatable and so much more than what I was expecting. I can't wait to read the next one! I am very excited to bring you another cover reveal today. 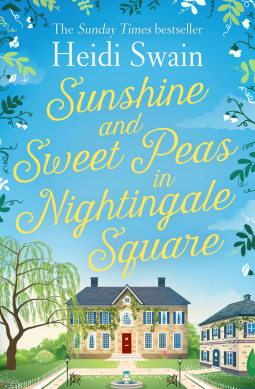 You might remember me revealing the last cover for this series, now is the time to see the cover for Summer at The Little Duck Pond Cafe which is out on 18th June in the UK and you can click here to pre-order your copy now! To celebrate the cover reveal today the first part in the series Spring at The Little Duck Pond Cafe is free today, you can click here to download your copy now! And here's the cover, so summer and makes me want to go and take part in a summer fete or something, am I right? Sorry this one is a little on the late side but better late than never right? So today was a pretty good reading day. I finished my audiobook-yey! That's another complete book for the readathon. 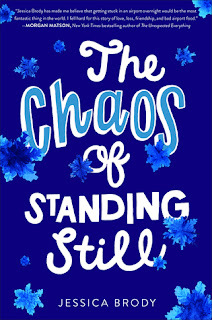 I read the final 188 pages of The Chaos of Standing Still by Jessica Brody and let me tell you, I loved it! 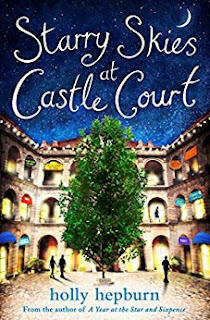 Seriously this was just a fabulous contemporary and I will be seeking out more to read from her because she is a new to me author! 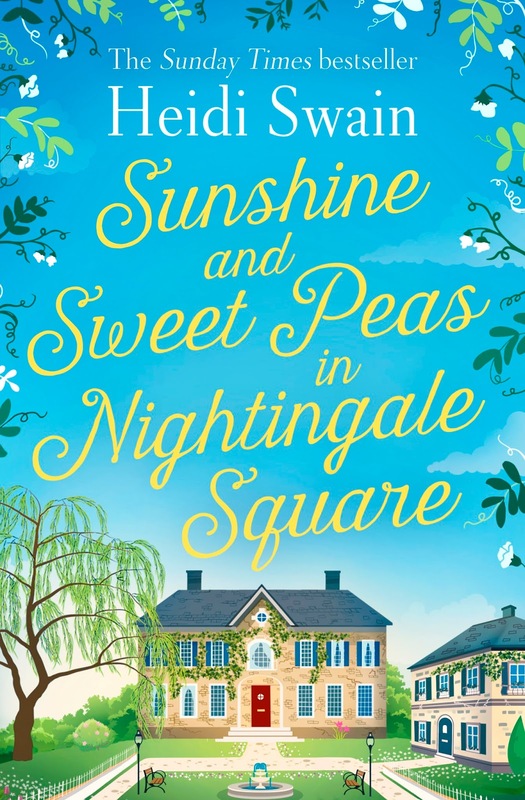 I also read another 120 pages of Sunshine and Sweet Peas in Nightingale Square. I would have loved to have read more but jetlag is still poking me in the face so I fell asleep way before the midnight mark I was aiming for. By the time this post goes up I will probably have managed to reach the end! I took part in most of the challenges this week and one of the chats. Normally I would take part in the first chat of the week and have to set my alarm for the second chat but this time the first chat was too late because I was on UK time and I woke up early enough to be like 2 hours early for the second chat because I was still on UK time but being back in Denver! My secret challenge for the week was to read in lots of different places. 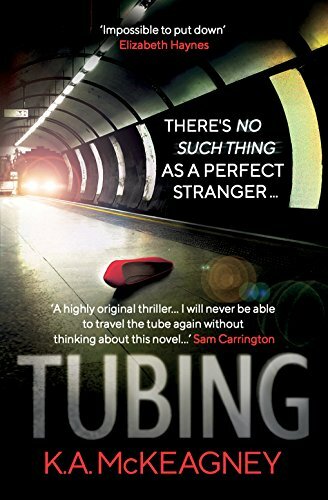 I read on several different trains and several underground trains. I read on 2 planes and in 3 airports. I read in 4 different beds and 2 different baths. I read on 2 different continents, in 3 different time zones and read a combination of hardbacks, papaerbacks, ebooks and audiobooks. I took lots of pictures and videos so look out for a video wrap up on my channel soon and I will pop it below as well as soon as it is up! 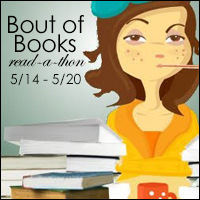 I can't wait for the next Bout of Books! 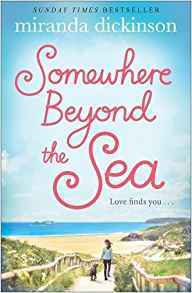 Review: I was delighted to spot this new book from one of my favourites. Such a lovely cover too - fresh with pastel colours and communicating all things country. The milk churn with wildflowers spilling out of it on the back of the book was a clever touch. 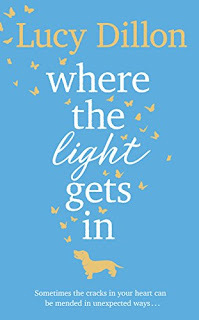 It proved to be a wonderful depiction of the story within. 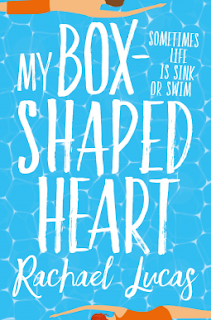 It was definitely one of those stories that, once started, kept me coming back for more. 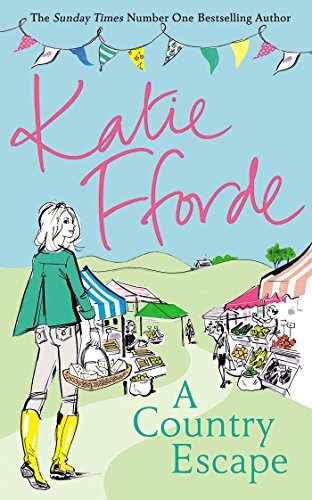 A letter from a distant relative has the main character in the story, Fran, leaving her comfortable existence in London where she is a chef to live on a rather dilapidated dairy farm in Gloucestershire. There is the possibility that she might inherit the farm from this elderly relative, Amy, if she can stay there and make a go of it for a year. This involves Fran in trying to come up with ideas to turn around the fortunes of the farm. She has help from best friend Issi when she can get away from her studies and from the herdsman, Tig. That's just as well, as Fran is afraid of cows! Amy has warned Fran to stay away from the man in the neighbouring house, but she is finding this difficult when he is also offering her assistance and happens to be rather gorgeous. Added into the mix is a somewhat unwelcome relative from Australia who suddenly turns up also hoping to inherit. This is a really captivating story oozing with the sights, sounds and smells of the country and farms. I was practically salivating with the descriptions of the cheeses Fran was making with apparent ease from the surplus milk produced by her herd of rather special cows. 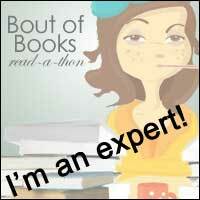 As so often happens when you finish a really good book, I was left with the feeling of missing the characters. 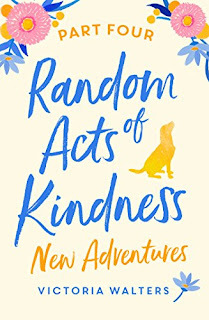 I would recommend this delightful and entertaining story as a summer read or, indeed, for any time of the year. Today I am lucky enough to have an extract from the brand new Ottercome bay installment for you. 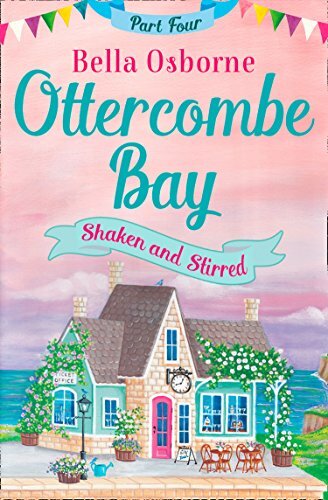 This is the final part in the Ottercombe Bay series. I have reviewed all four parts of this series so you can read my thoughts here. 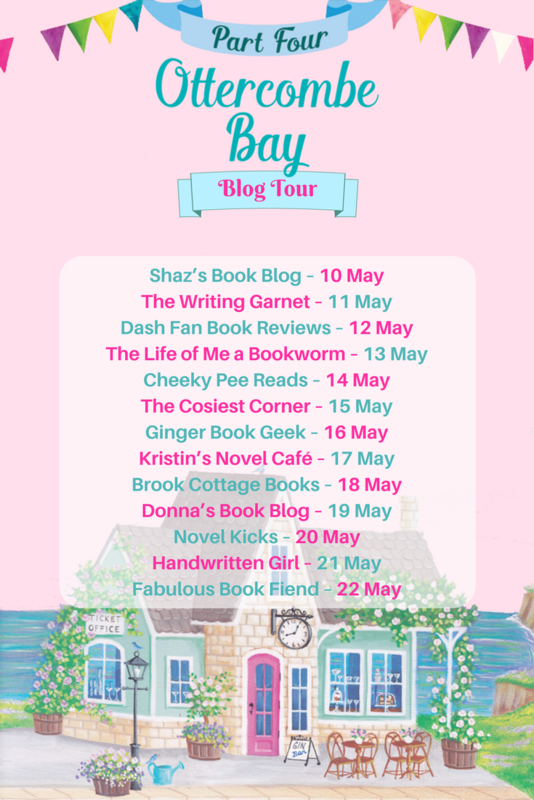 Don't forget to check out the other stops on the tour for more exclusive content and you can pre-order your copy of the full book, Coming Home to Ottercombe Bay by clicking here! And if you want to read a sample, here's that fabulous extract for you, thank you so much to Bella for sharing! Daisy was looking forward to her night off; it had been a busy weekend so a Monday in the pub with Tamsyn was exactly what she needed. Actually, she would have preferred a bottle of wine at home but Tamsyn had been insistent. With only four weeks to go Daisy was getting demob-happy. The accounts were looking healthy and the solicitor had confirmed everything was on track to release the final instalment of her inheritance as planned. She was then going to put Locos up for sale, repay Aunt Coral and jet off to South America. Everything was coming together. She still had some niggles in the back of her mind, but that’s all they were. She wanted to do more travelling – it had always been her dream and nothing had changed, nothing at all. So why did she feel uneasy about moving on? ‘Slippers,’ said Tamsyn, as they walked in the warm evening air. ‘Yes,’ said Daisy, bracing herself for Tamsyn’s next question. 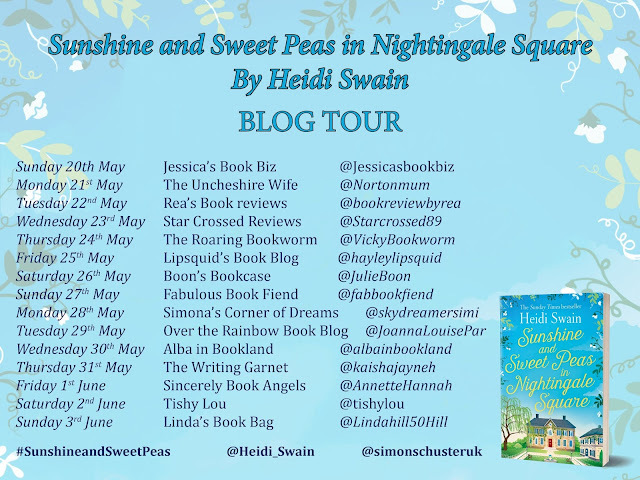 They were giggling as they entered the pub but Daisy’s laughter quickly faded when she saw who was sitting at their usual table. ‘Oh, no, Tams. I’m not spending an evening of awkwardness with Max,’ said Daisy, bolting for the door, but Tamsyn artfully blocked her. ‘Wait, please listen. It’s not about you and him it’s about me and Captain Cuddles.’ Daisy raised her eyebrows. 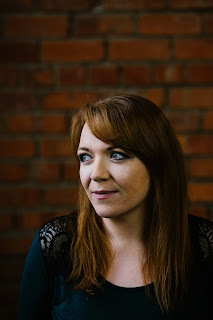 ‘Because you two aren’t talking we have to see you separately and we feel we can’t mention the other one and it’s making us sad.’ Tamsyn’s face was brimming over with unhappiness making Daisy relent slightly. 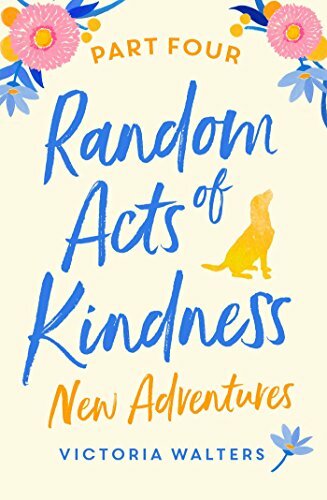 ‘All the trust has gone, Tams.’ Daisy looked across at Max; she wished that wasn’t the case but how could she even be friends with someone she no longer trusted and who had made her feel such a fool? ‘Please just have a drink with me and Jason. You can pretend Max isn’t there.’ Tamsyn’s face was pleading.